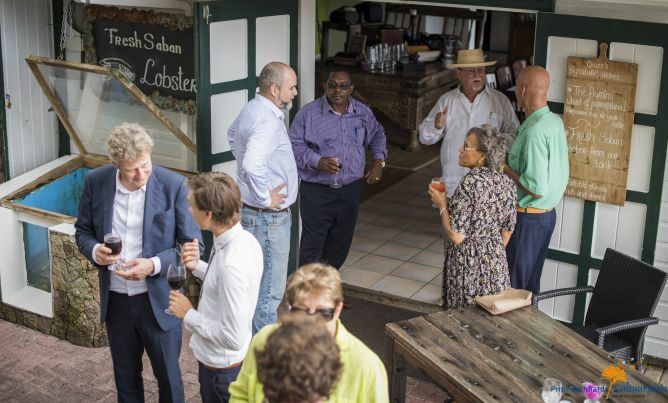 The Bottom –Every two years the Board of the Prins Bernhard Culture Fund Caribbean Region (PBCCG) awards a prize on each of the six Dutch Caribbean Islands in recognition of outstanding efforts in the fields of art, culture and nature. This year we chose to award William ‘Will’ Stanley Johnson with the 2017 PBCCG Prize on Saba. 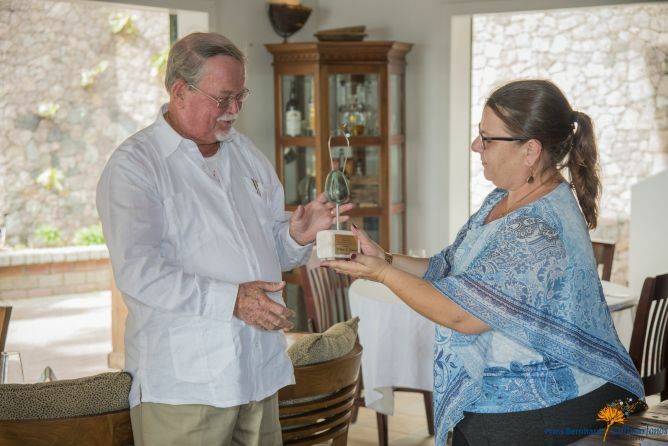 On November 7, 2017, Michèle Russel-Capriles, the chairman of the PBCCG traveled to Saba, accompanied by Thijs Tromp, the board secretary of the Prins Bernhard Culture Fund in Holland, to bestow the honor on Will Johnson for his dedication to documenting and preserving the Saban way of life. We are especially impressed by the massive archive of photographs, audio recordings and documents that Will Johnson has collected throughout his life. This archive, and the many collections it contains, is precious as it tells the story of Saba’s past, its people, its development and their traditions. But Will has not left it at that. A prolific writer, Will has published a number of books about specific historical aspects and continues to write a regular newspaper column “Under the Seagrape Tree” about the history and culture of the three Windward Islands, with special emphasis on Saba. It is this dedication to preserving and imparting knowledge about the unique and great history of Saba and its neighboring islands that has earned Will Johnson the 2017 PBCCG prize. The prize was awarded in the presence of his family, close friends, representatives of organizations we support in Saba, as well as the Commissioner for Culture, Mr. Roland Wilson, and the Governor of Saba, Mr. Jonathan Johnson, who also represents our board in Saba. It is the sincere hope of the board of the PBCCG that this prize will also inspire young people to contribute to the collective memory of our islands. Family and friends gathered to witness and celebrate the awarding.